Are you serving Gluten Free Fish and Chips? Have you joined Fish and Chip shops across the nation and beyond adding Gluten Free Fish and Chip options to their menu? 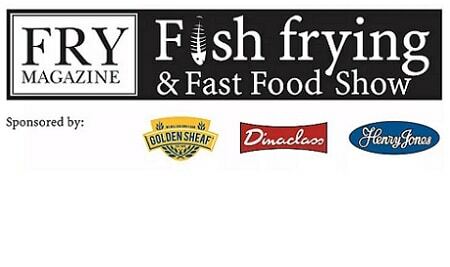 Friars Pride’s Gluten Free Fish and Chip shop map page has been viewed over 21,000 times since it launched and is updated regularly. End consumers simply enter their post code and their nearest Gluten Free Fish and Chip shop or restaurants are listed within their set mile radius. What does ‘Gluten Free’ mean and why now? You may have seen a rise in Gluten Free menu options in restaurants, sections in your local supermarket and requests in your business from customers. People with coeliac disease must avoid gluten-containing foods – just a small amount of gluten may cause symptoms and even damage their gut. Gluten is found in many of our staple foods, therefore cross-contamination must be avoided. Therefore ‘Gluten Free’ must contain zero gluten, meaning you have to avoid contamination right from storage and preparation to serving. The increase in awareness and demand for Gluten Free products have contributed to the popularity of our Gluten Free Fish and Chip map and activity within various online Gluten Free communities and social media pages. This shows a real opportunity to provide an added extra to your menu, a marketing opportunity and to encourage new and repeat business. How do I serve Gluten Free Fish and Chips? Frying in the same oil as battered or breaded products involves a risk of cross- contamination; filtering alone will not fix this. You should use separate, clean oil to fry chips and gluten-free battered fish. Use specifically created Gluten Free products, such as Gluten Free sausages, batter mixes and gravy. Why not choose one day a week to serve Gluten Free Fish and Chips? Make sure to let customers know via posters, your website and social media pages. Check to see which other foods you already serve are Gluten Free, for example, some of these could be stored separately and fried using Gluten Free batter. Condiments; salt is safe to use, along with Gluten Free non condiment vinegar. Major B’s Tomato Ketchup has been tested as Gluten Free and is the perfect upsell add-on to a Gluten Free order. Separate equipment to avoid contamination; whisks, tongs, scoops, skimmers, baskets etc. Storage, preparation, cleaning, communication and staff training are just a few of the many important areas to consider – find out more via Coeliac UK. “We have noticed as awareness of Coeliac Disease and Gluten Free products has increased, so have our requests for Gluten Free Fish and Chips, along with sales. We choose to serve Gluten Free Fish and Chips every Monday and made sure we were on Friars Pride’s Gluten Free Fish and Chips Map for customers to find us. We make sure we use a separate pan which is cleaned down twice a day and fresh oil is uses. We keep our fryer covered and on constantly, on ‘eco’ mode. This is turned back on when a Gluten Free order is places, which only takes a couple of minutes to heat up. We use a completely separate preparation area, with all separate whisks and equipment, which are labelled as ‘Gluten Free’ and cleaned thoroughly every time they are used. Do you serve Gluten Free? Make sure you are on the map! If you serve Gluten Free Fish and Chips, make sure you are on our dedicated map– it only takes a minute and it will enable your business to be shown within the end consumers search. The Nation’s Top 3 Fish & Chip Shop Staff Training & Development Awards Have Been Announced! previous post: Chip + Fish win iPad in FRY I.T. 2016 prize draw!